Christopher K. Robertson is a Member in the Business Law and Financial Services industry groups, focusing primarily on litigation, professional liability, errors and omissions, and commercial litigation. He practices out of the Firm’s office in Martinsburg, West Virginia. Christopher is a consummate professional who always has eyes trained on the big picture for his clients. 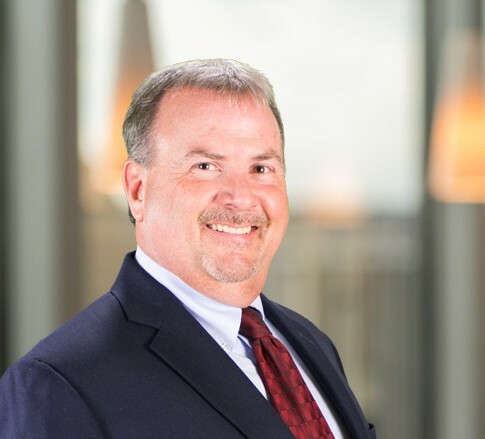 With over two decades of experience, Christopher routinely encounters matters involving personal injury, errors and omissions, professional negligence, lender liability, and commercial litigation. Christopher focuses on representing defendants in trial and appellate litigation in both state and federal courts. His track record is long, impressive, and speaks for itself. Christopher has defended many cases alleging predatory lending, inflated home appraisals, and loan processing errors. He has defended a number of cases filed by consumers alleging violations of the West Virginia Consumer Credit and Protection Act, Real Estate Settlement Procedures Act, Fair Debt Collection Practices Act, and the Truth in Lending Act, Additionally, Christopher has defended several such actions instituted by the Office of the West Virginia Attorney General. He has represented automobile dealers and manufacturers against claims of fraud, breach of consumer warranties, and violation of state lemon laws, as well as builders and manufacturers of housing against claims about alleged defects in home construction. He also represented a Fortune 100 company against its insurer on a claim for coverage of mold in an office building. Christopher is a member of the Defense Research Institute (DRI) and Defense Trial Counsel of West Virginia. He joined the Firm in 1992 after earning his law degree from Washington and Lee University School of Law.